Part 2 of a 2-part article about fire life/safety upgrades in commercial buildings. While many fire code provisions do include strict regulation of elements such as building construction types, installation of fire safety systems, and regulation of wall and ceiling finishes, certain occupancies also have a planning or action element that is directed at the building occupants. 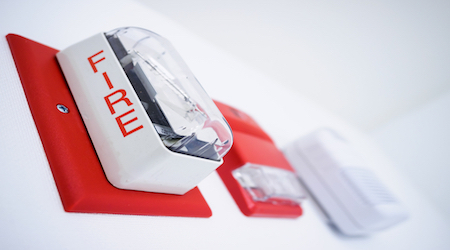 Do you remember those monthly fire drills you conducted in school? That philosophy extends to other occupancies as well, albeit with a different approach. Business occupancies, for example, are required to have an emergency action plan in place for any high-rise office building. Further, emergency drill planning and execution (when practical) is required in office buildings that have more than 500 employees, or more than 100 employees located above or below the street level. High-rise building operational plans become more complex and offer a range of challenges, including plans to have occupants defend in place or simply relocate to other floors. When developing an emergency action plan or reviewing your existing emergency action plan, be sure you can answer this question: How do you evacuate the occupants who have impaired mobility? If you elect to conduct a drill, use this opportunity to work with your AHJ on the planning and ask if they want to invite the fire department on site during the drill. This allows the fire department to gain some familiarity with your building and improve its planning. The adopted code in your jurisdiction contains a range of mandates and requirements that cover everything from new construction to renovation, remodeling, and the like. For each of these projects or phases, it is important for you to have a construction permit. That permit triggers a number of actions. One of these is the plan review process. The AHJ, as noted earlier, is involved as a customer service representative and is there to review the building plans and specifications. This process is predominantly in place to gauge compliance (or non-compliance) with the legally adopted code or standard for the jurisdiction. A previously approved set of plans for a big box store in Washington State that is submitted for the same client in Florida will likely not gain approval. Different editions of the codes, local or state amendments, and even the need to address different hazards are among the variations to be considered. The AHJ is evaluating compliance for the project where it will be sited. Once the permit has been obtained, the plan review process is finished, and construction begins, the AHJ is normally available to conduct specific inspections as the project progresses. The AHJ is likely to field-check wiring connections, sprinkler pipe installation, and fire alarm system components before walls and ceilings are installed. These inspections continue through to the end of the project and are there to ensure that the different contractors are building and installing the systems and features to satisfy the plans that the AHJ has reviewed. Failure to obtain the proper permits in the first place means the services provided by the AHJ on behalf of the community are not invoked. In the extreme case, if the AHJ is asked to conduct a certificate-of-occupancy final inspection and no permit was issued, there was no previous plan review, and there were no in-progress inspections, then there is a good chance that no certificate of occupancy will be issued. Enforcement provisions don’t stop when the building is occupied for the first time. Ongoing actions related to the inspection, test, and maintenance (ITM) of fire protection systems and features will allow the occupants to remain safe — and allow the building and contents to be protected from fire. ITM isn’t just about system maintenance. An often-overlooked element relates to the upkeep and maintenance of the passive fire protection features, such as fire-resistance-rated wall and ceiling assemblies and fire-rated doors. Robert Solomon, P.E., is division manager for building and life safety codes, for the National Fire Protection Association. Projects his department is responsible for include the NFPA Fire Code, Life Safety Code, and the Building Construction and Safety Code.